One of the oldest and ubiquitous polymers, PVC, or polyvinyl chloride, is used for water toys, rafts, boat curtains and many other marine applications. 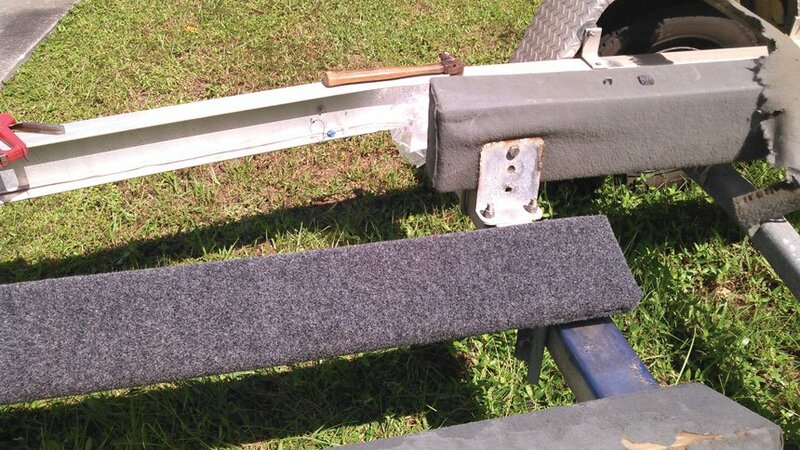 I have used it to hold propane cylinders on deck, make flagstaffs and hold trailer light fixtures. The list of things you can make from PVC piping is endless. 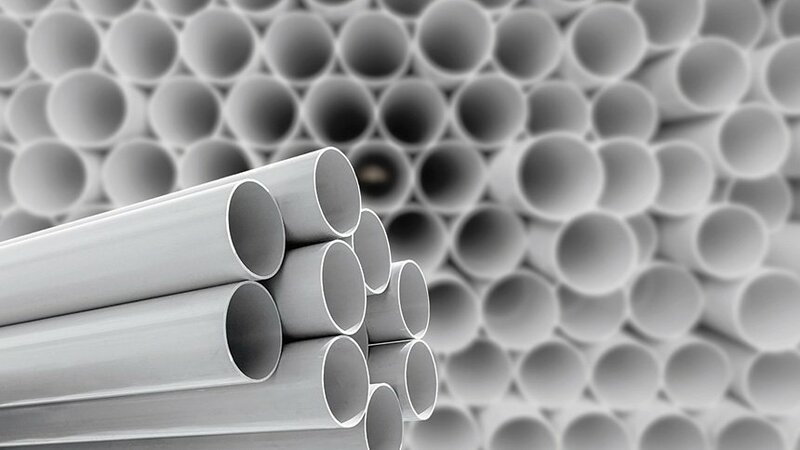 Readily available at most hardware stores, PVC pipe comes in two grades, or schedules. Schedule 40 has a thinner wall and is probably the easiest to work with. Schedule 80 has thicker walls but the same outside diameter. I suggest using schedule 40 for your projects, as it’s tough enough to withstand almost any abuse. 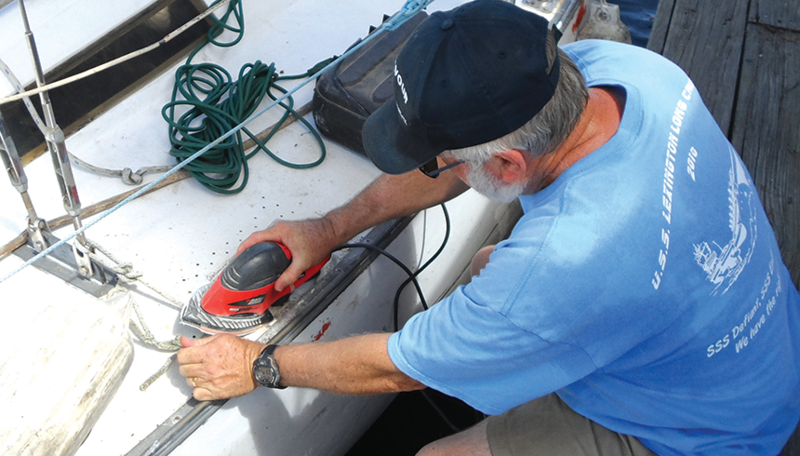 When you’re out cruising this summer, you may find yourself at a marina slip wanting to use shore power to charge your batteries and run those devices you wouldn’t normally run through your inverter. I’ve been vacationing in Southwest Florida for longer than I have been a member of United States Power Squadrons. I haven’t visited every yacht basin and marina, but out on the water and along the Intracoastal Waterway, I have never seen a vessel flying the USPS ensign save for the one on my boat. USPS encourages members to introduce our organization to the public with seminars, classes and by our presence at boat shows. While these are important, I think one of the best ways to advertise our presence is to fly the ensign. Houston Sail & Power Squadron/21 member Richard Lipham solved a big problem for Sea Scout Ship 1996. 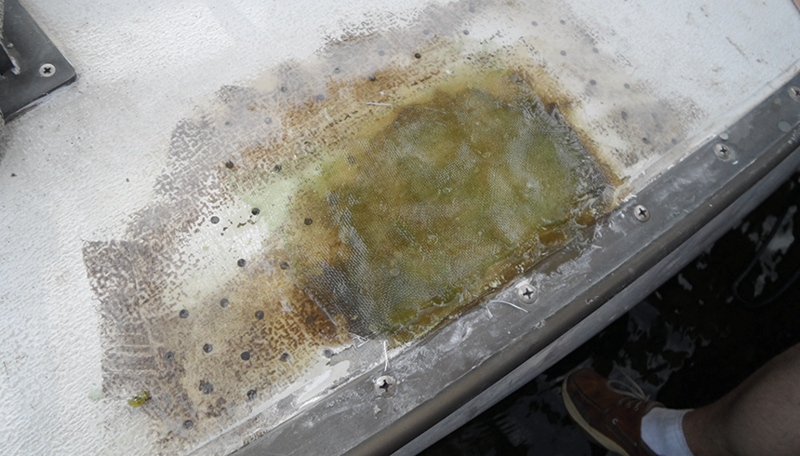 The ship’s main training boat, a 1973 Santana 30, had developed a crack in the outer fiberglass skin under a deck stanchion. 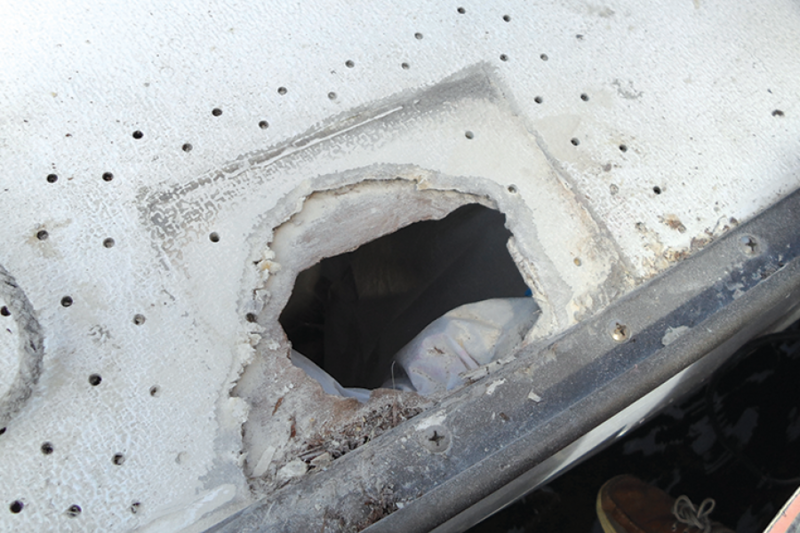 The core became soggy, and finally pressure on the stanchion broke a hole through the deck. 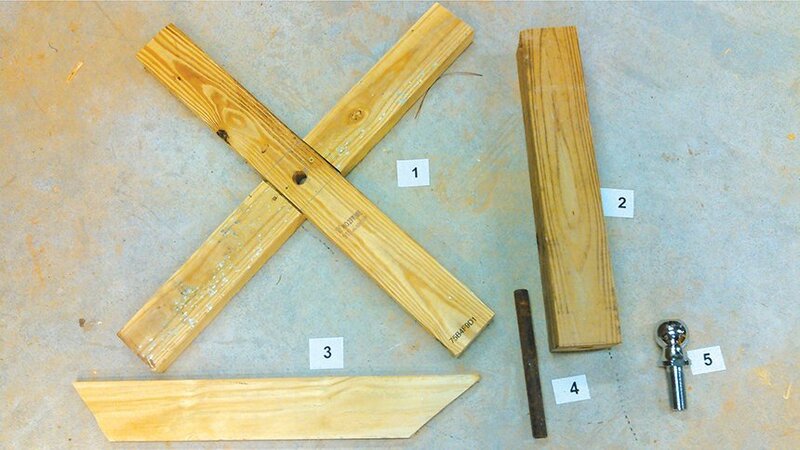 Here’s a step-by-step look at the repair. Step 1: Holes are drilled in the outer layer of the deck to determine the extent of wood rot in the deck core. Using an eye dropper, the holes are filled with a compound called RX for Dry, Rotted Wood. The compound binds with the good wood and fills the spaces surrounding rotted wood, reinforcing and strengthening the deck. It’s expensive but necessary. Step 2: Richard Lipham uses a vibrating sander to sand a bevel into the fiberglass deck surrounding the hole. 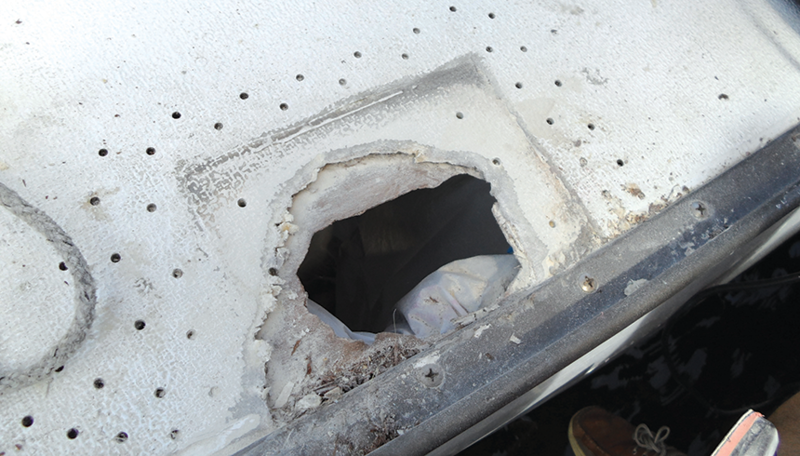 A bag keeps fiberglass particles from seeping into the cabin. The bevel allows the new fiberglass to have a semi-flat surface to bond with, as opposed to sheer sides of the hole without beveling. Step 3: For reinforcement, a piece of wood is installed under the hole, creating a base for the fiberglass to bind to as it fills the hole. The wood is covered on its top with a single layer of resin, allowing it to bind with the deck above. 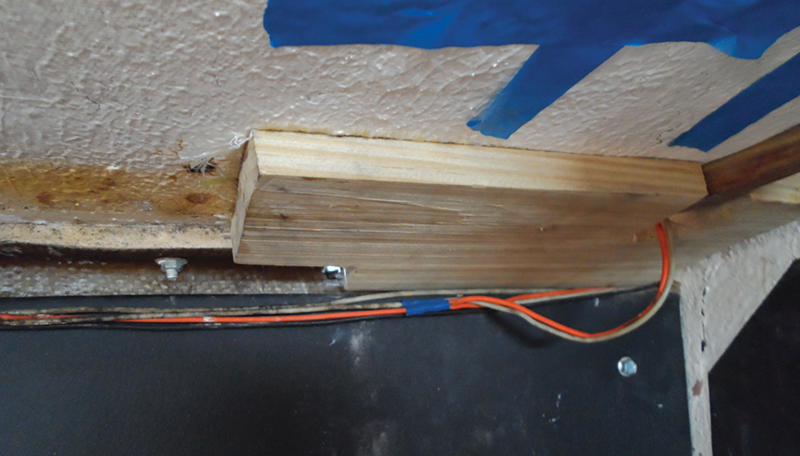 Step 4: The wood reinforcement covers the bottom of the damaged hole. When completed, the wooden base provided a backing plate for the final bolts holding the stanchion in place. 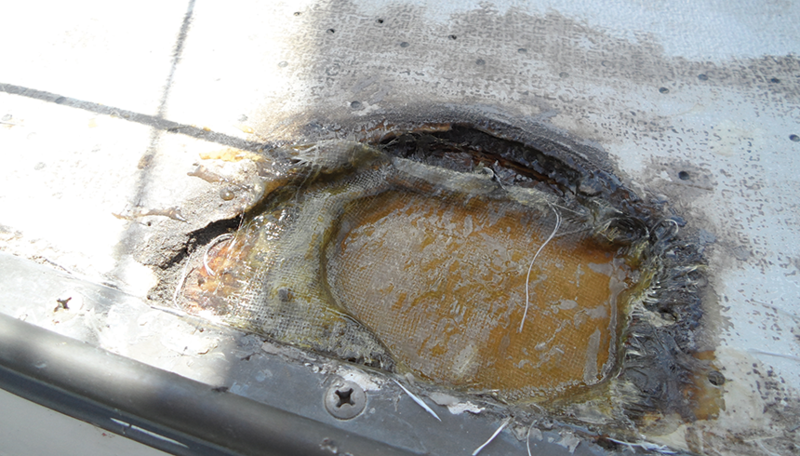 Step 5: The first layer of fiberglass is put in the damaged area. The fiberglass mat should cover the beveled edge, which is a key strength point. The material should be thoroughly dry before another layer of mat and resin are added. Step 6: Richard finds the process of resin drying fascinating. Step 7: Once each layer dries, another layer can be added. This process is repeated until the level of the new fiberglass is higher than the original fiberglass. The patch should cure for an hour or so. Step 8: The completed patch is not pretty, but it’s waterproof. 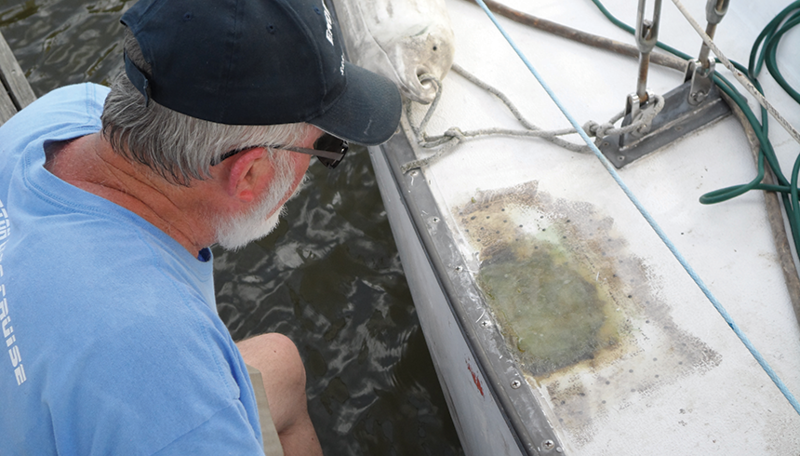 Note that all of the small holes surrounding the main patch have been filled with resin. When the patch is completely dry and not tacky, it is sanded smooth. 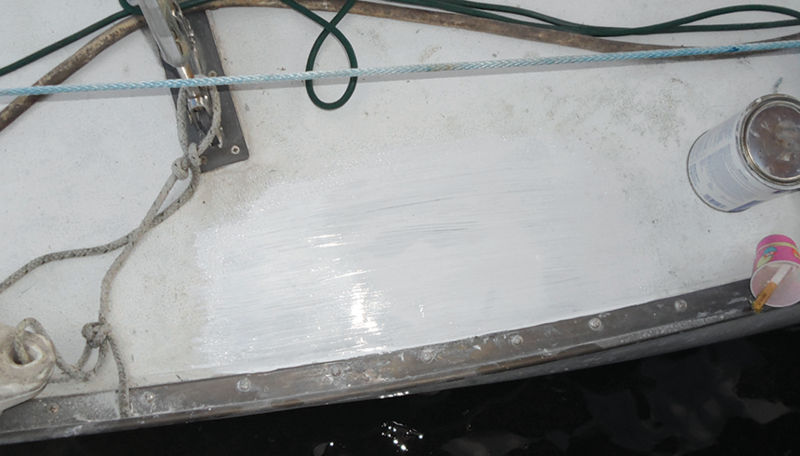 Step 9: A gel coat is applied to return the deck to its original white attractiveness. 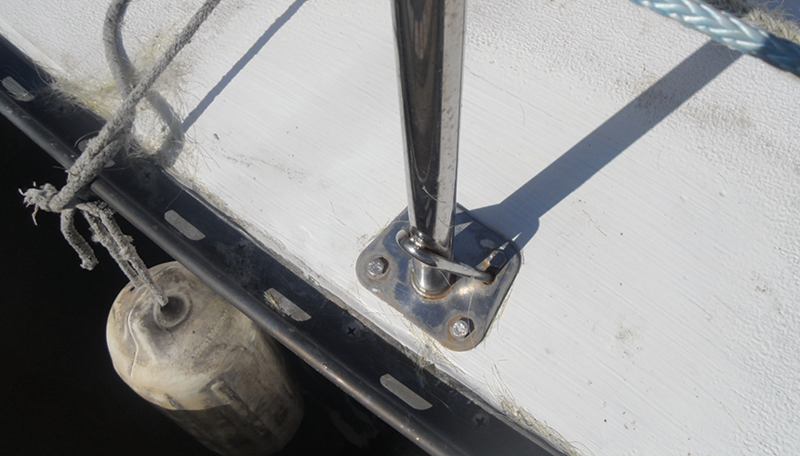 Step 10: When everything cures and becomes solid, the stanchion is installed to complete the repair. 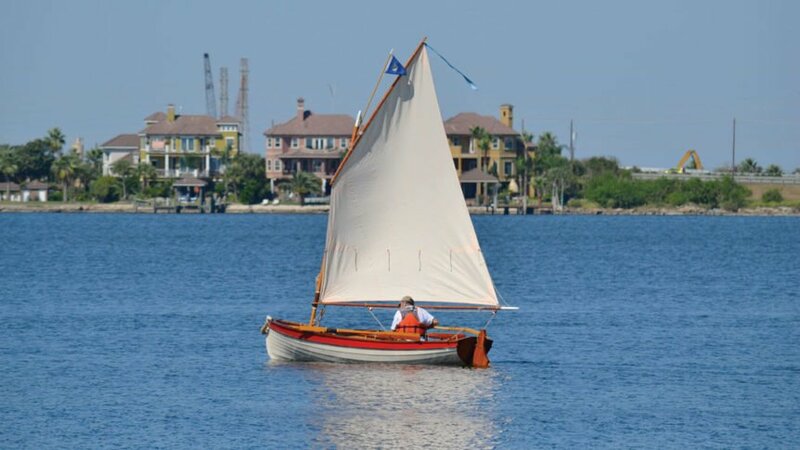 Cdr Chris Leavitt, JN, of Houston Sail & Power Squadron/21 has been a Boy Scout leader since 1993, a Sea Scout Leader since 2000 and teaches seamanship, sailing and navigation. He has two sons and a wonderful wife of 37 years. 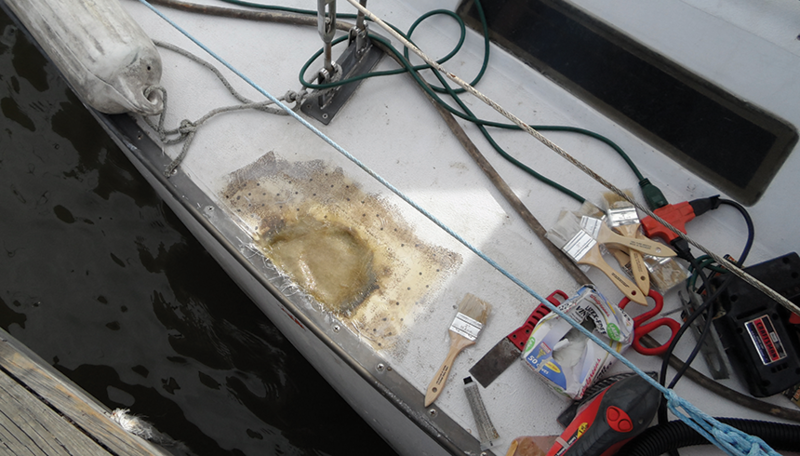 For below-the-waterline maintenance, epoxy barrier coating is one of the best measures you can take to preserve a fiberglass hull. 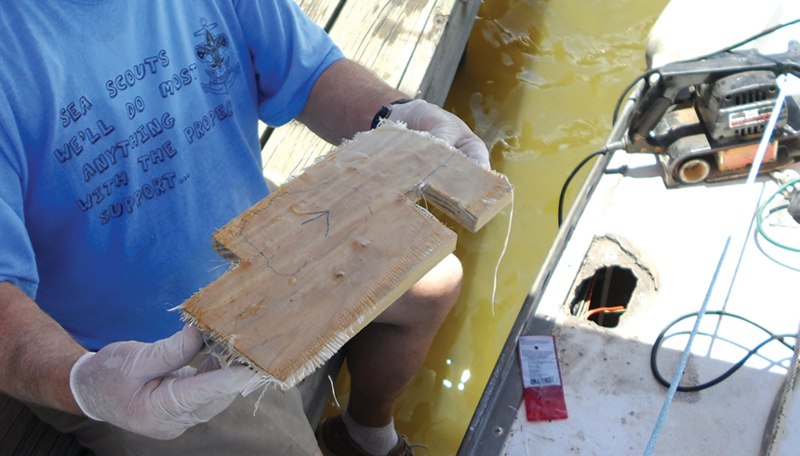 It prevents water from migrating into the fiberglass, thus adding weight to the boat and causing possible delamination or osmosis of the fiberglass. Summer’s here! Now’s the time to get in the boat, visit your favorite cove and drop the hook. Before long, you’ll get out the propane grill and throw a couple of steaks on while you enjoy a glass of wine with the sunset. 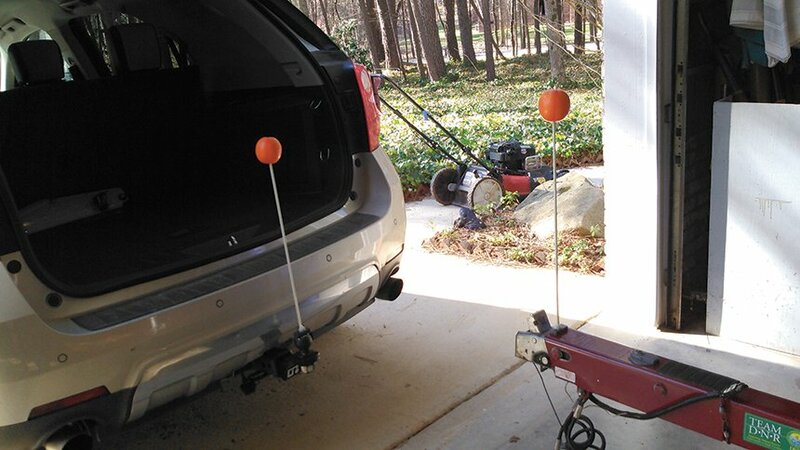 Propane grills that attach to a boat rail or a fixture inserted into a fishing rod holder are popular and provide additional enjoyment on day trips and cruises; however, their use raises the question of how to store the steel propane cylinders that fuel the grill.